NEW YORK (Scrap Register): United States silver scrap prices fell on the Scrap Register Price Index as on Wednesday, while silver futures prices at New York Mercantile Exchange climbed, after U.S. data showed the U.S. economy slowed slightly more than initially expected in the first quarter. 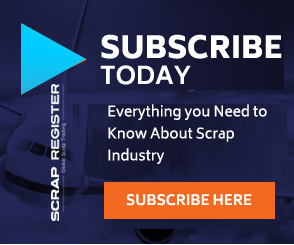 The major silver scrap commodities on the Scrap Register Price Index dropped on Wednesday. The hallmarked silver scrap prices down by 0.63 percent to $13.477 an ounce and non-hallmarked silver scrap prices dropped to $11.962 an ounce. The most active July Silver contract on the COMEX division of the New York Mercantile Exchange has jumped by 1 percent to $16.544 an ounce on Wednesday. US GDP grew 2.2% in the second quarter, missing estimates of 2.3%, while GDP prices rose 1.9%, missing forecasts of 2%. Political uncertainty lingered in Italy also support Silver prices.